SIUE's I/O master's program offers a rare blend of the scientist-practitioner model, requiring students to complete both a research-based thesis and several required field hours of practicum. All required classes incorporate this mix of research and application. Further, SIUE's location, just 23 miles from downtown St. Louis, Missouri, offers the opportunity for professional endeavors and networking, balanced by a quiet, semi-rural environment conducive to study. SIUE's I/O Master's Program ranked number 4 in nation according to 2018 SIOP Publication! Click on the below link to check out our program's 2018-2019 yearbook! The philosophy of our program is to provide the knowledge and skills required to analyze, understand and solve a wide variety of behavioral problems that occur in organizations. The program is based on the scientist-practitioner model, preparing students for future employment in industry, as well as training at the doctoral level. The curriculum includes extensive training in quantitative methods and theory, behavioral measurement and theory, professional affairs, research, and practice. Research experience is directed at conceptualizing and solving applied organizational problems. 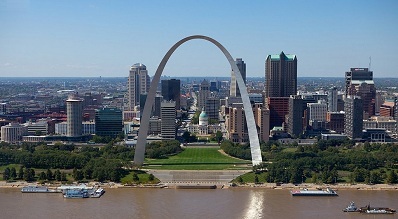 Required practica, which are available throughout the St. Louis area, are oriented toward giving students applied, realistic skills and experiences to develop viable and effective performance in an organizational context. Most graduates of the program leave with a master's degree and and job offer in a corporate setting, either in a human resources department, organizational development/training department or management-consulting organization. Some students pursue doctoral study. Please visit our Application Information page for admission requirements and procedures. The deadline for applications is January 15th. The top applicants will be invited to a day-long open house on a Friday in late February.